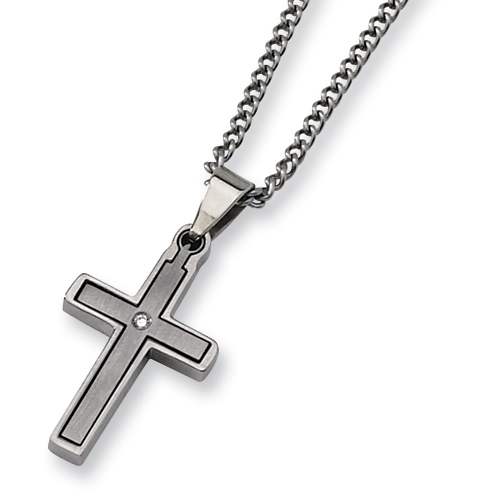 Brushed and polished titanium cross has a .035 ct round diamond accent. 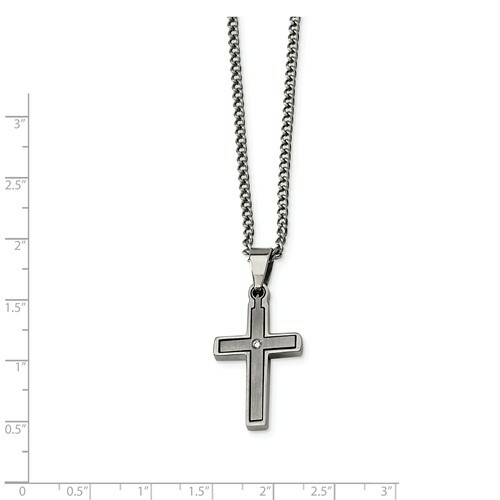 This item includes a 22-inch stainless steel chain. Fancy lobster clasp. Import. Weight: 9.7 grams.